From spectacular mountain lakes to friendly towns surrounded by beautiful nature offering a wealth of activities, Montana is a dream destination for those who love the outdoors. Visit Glacier and Yellowstone National Parks, get to know the state capital, Helena, check out the Montana Brewers Trail, go skiing in Big Sky, explore the World Museum of Mining in Butte, see the Hungry Horse Dam and much more. 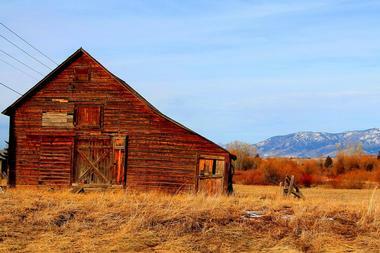 Here are the best Montana destinations. 1. 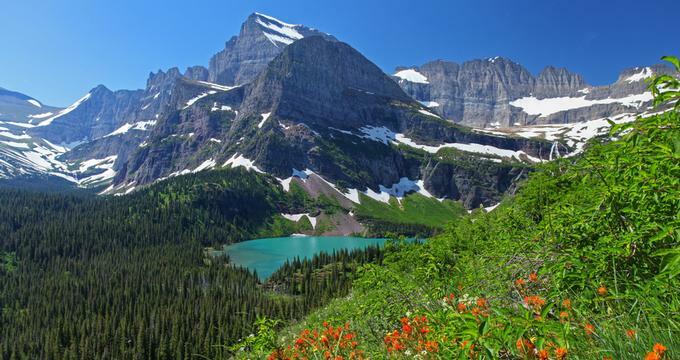 Best Things to Do in Montana: Glacier N.P. 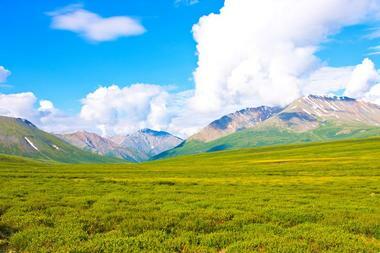 This natural wonderland is at the center of what is referred to as the "Crown of the Continent Ecosystem." Is an outdoor enthusiast’s paradise, with a range of recreational activities to enjoy, including hiking, biking, mountain climbing, and wildlife watching. The park’s habitats include rugged mountains, tranquil lakes, alpine forests, and meadows through which 700 miles of trails wind, just waiting to be explored. The park is home to the famous Going-to-the-Sun Road, an engineering marvel that spans 50 miles through the park's wild interior, winding around mountainsides and boasting some of the most spectacular sights and views in Montana. It is one of the top Montana attractions. Other unique destinations to explore in the park include the Goat Haunt, Two Medicine, and Many Glacier, where visitors can discover Native American history and historic homesteading sites and soak up spectacular natural landscapes. 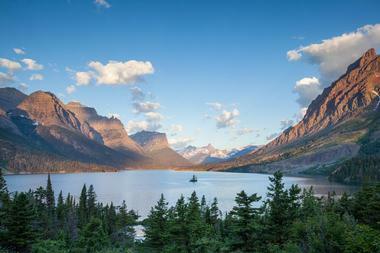 Glacier National Park is one of the most famous Montana tourist attractions. Best time to visit Glacier National Park is in the summer. The southern half of Flathead Lake is situated within the boundary of the Confederated Salish and Kootenai Tribes Flathead Reservation, and visitors need to purchase a tribal recreation permit to enter and enjoy the beautiful surroundings. The lake features several state recreation areas complete with boat launches, camping, swimming and picnic facilities, and restrooms, along with Wayfarers, Finely Point, and Elmo and first-class fishing sites. The west shore of the lake is home to Wildhorse Island, a 2,165-acre state park that can serve as a pleasant day picnic venue and is only accessible by boat. The Bigfork Whitewater Festival is held every year around Memorial Day. 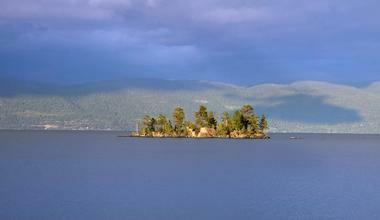 If you are looking for pretty places to visit in Montana, Flathead Lake is a great stop. Most people have never heard of Missoula until they pass through this charming university town on the way to Yellowstone. But, once they come, they tend to stay awhile. 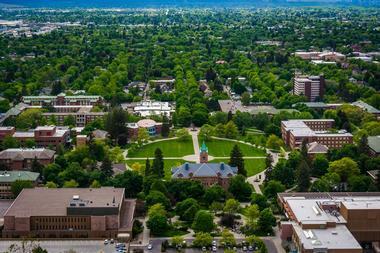 Thousands of students at the University of Montana contribute to a lively atmosphere, along with a yearly marathon, the Big Sky documentary film festival, great restaurants, and so much more. Outdoor types will be happy to learn that there are three rivers passing through the area, and there are kayaks, stand-up paddleboards, and rafts to play with. Fishing around Missoula is among the best in the country. Endless trails take hikers to explore the valley’s natural beauty, and they can see traces of the ancient lake and signs of first inhabitants from the Salish American Indian tribe. According to Bloomberg Businessweek, Bozeman is one of the best places in the country to raise kids. What makes a city so famous for its high quality of life? It might be the sunny winters, 300 sunny days a year, the excellent Montana State University, great skiing and fishing, miles of hiking trails, several well-known festivals such as Music on the Main, and the biggest collection of dinosaur fossils in the world at the Museum of the Rockies. 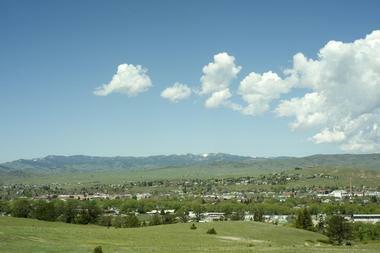 Bozeman has great shopping and some fabulous restaurants. Beer lovers should not miss the Montana Brewers Trail to check the local craft brews. And Yellowstone is just a short trip away. 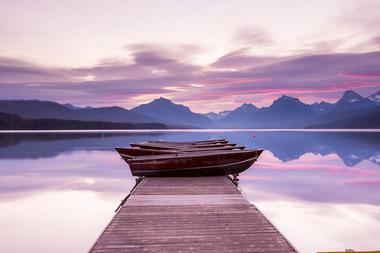 It is easy to fall in love with Big Sky, one of the best places to visit in Montana. As you drive through the magnificent Gallatin Canyon and through parts of Yellowstone, you will drive through towering verdant ancient trees – be sure to slow down for passing bears, moose, or elk and stop for a photo of one of the many thundering waterfalls. The beauty of the quaint little town with rustic log cabins, cozy B&Bs and luxurious Big Sky Resort, where everything is taken care of for your perfect vacation, will leave you in awe. Some people come for a vacation and decide to stay permanently. There is so much to do, and while you feel far away from civilization with the mountains towering over the town, you are only an hour from the Bozeman airport. This is the perfect community for avid skiers, with the Biggest Skiing in America with 5,800 acres of ski terrains, the 4,350 ft vertical (the longest in the country), 85k of fabulous trails for cross-country skiing, and over 50k of trails for snowshoeing. In the summer, there is as much if not more to do for those who like the great outdoors: miles of hiking, biking and horseback trails, great fishing and hunting, mountain climbing and, of course, opportunities to visit Yellowstone National Park. And wherever you go, there is the big sky and a sense that the world is a wonderful place. At 10 miles long and over 470 feet deep, Lake McDonald is the largest lake in Glacier National Park and one of the best places to see in Montana. If you are looking for pretty places and things to see in Montana, this unique lake is a great start. Surrounded by majestic mountains and the Great Continental Divide, this long fjord-like lake fills an ancient basin that Ice Age glaciers gouged out over time. Today, it provides a fantastic environment for hiking, walking, wildlife viewing, picnicking, and sightseeing. Keep an eye out for black bears, bighorn sheep, mountain goats, and elk. The lake is home to several species of native trout, game fish, and other catchable species such as whitefish, salmon, and suckers, and the world-renowned Going-to-the-Sun Road runs parallel to the lake along the southern shore. When you visit Great Falls, you will be amazed by the spectacular vistas wherever you look. Located on the mighty Missouri River, the city is surrounded by five waterfalls, snow-topped mountains, and towering buttes, and is one of the best Montana destinations. If you turn around, you will see vast plains all the way to the horizon. 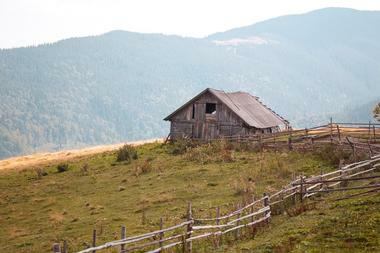 It is a magnificent landscape that ranges from huge wheat farms to picturesque valleys and steep river gorges. And in the city, the third largest in Montana, its 58,000 residents enjoy a rich cultural life that revolves around the Mansfield Center for Performing Arts, the Paris Gibson Square Museum of Art and the C.M. Russell Museum. Great Falls has a special place in the history of the region, and the best way to learn about it is by visiting the Lewis and Clark National Historic Trail Interpretive Center. Located on the bluff above the Missouri River, the center offers the view of the same terrain the explorers Lewis and Clark saw in 1805 when they tried to navigate the area’s river and falls. Great Falls is also a home of the University of Great Falls, First Peoples Buffalo Jump State Park, The Electric City Water Park, and 40 miles of River’s Edge Trail. The residents of Great Falls evidently love their outdoors. The Garden of One Thousand Buddhas is an International Peace Center that offers a sanctuary for people to cultivate inner peace and preserve the ancient culture of Tibet. Nestled in the beautiful Jocko Valley just north of the small town of Arlee, the garden is situated on the property of Ewam Sang-ngag Ling and was established with the aim of working towards global peace and serenity through the ancient culture of Buddhism and awakening the human qualities of joy, wisdom, and compassion. Founded by Tulku Sang-ngag Rinpoche, the garden is open from dawn until dusk to visitors of all religions and features an array of Buddhist symbols, statues, structures, and images that promote spiritual change and awakening. The central figure in the garden is the 24-foot tall figure of Yum Chenmo, the Great Mother of Transcendent Wisdom. One thousand stupas, which are one of the world’s oldest architectural forms, encircle the garden to honor the remains of great kings and warriors. It happened naturally. It all started in 1872 after Congress officially established Yellowstone National Park and people started flooding into this natural wonder. The area that served as a gateway to the park slowly turned into a more permanent settlement that was officially incorporated into a city in 1966. A small community of about 1200 permanent residents, the city welcomes and accommodates more than four million people who visit the national park every year. If you are wondering what to see in Montana, West Yellowstone is a great place to start exploring. While the tourism is good for the economy, the residents probably enjoy a nice breathing period during the cold winter months when the flow of tourists ebbs a bit. The city is a true gateway to all outdoor adventures. Fishing, especially fly fishing, is excellent year-round, and there is an ice fishing tournament on Hebgen Lake every year. There are miles and miles of snowmobile trails and about 35 kilometers of trails for cross-country skiing. The Grizzly & Wolf Discovery Center has live wolves, grizzly bears and raptors in their natural habitat. West Yellowstone has Montana's first IMAX Theatre, and the shopping ranges from outdoor gear to fine local crafts. And whatever your taste requires when dinner time comes, you will find it in this charming and welcoming small town in Montana. Until the 1870’s, Butte consisted of just a few mining camps. Then they discovered silver and copper, and people and companies from all over the world started flooding in. The town prospered and grew to 100,000 people. As the mining industry experienced its ups and downs, so did the town. With the decline of the use in copper, the town became a shadow of itself, and residents spent decades repairing the environmental damage all the mining created and recreating its identity. They did remarkably well, renovating abandoned old buildings into places such as Metals Sports Bar and Grill and turning cleaned mining pits into lakes with great fishing. Many houses are being renovated and repainted, and new businesses are cropping up daily. The town’s multicultural nature remained, and you can enjoy diverse events such as Chinese New Year. Don’t miss the World Museum of Mining. Outdoor enthusiasts will appreciate the great hiking and biking trails in the surrounding mountains and excellent fishing in several rivers and lakes. Little Bighorn Battlefield National Monument stands as a memorial for the Battle of Little Bighorn, one of the most famous battles in American history that took place at the site. The monument memorializes the U.S. Army's 7th Cavalry under the leadership of General Custer and the Sioux and Cheyenne tribes in one of the Indian's last armed efforts to preserve their traditional way of life. Little Bighorn Battlefield National Monument is also home to the Custer National Cemetery, where thousands of soldiers who fell in the battle rest in eternity, as well as the site of military action led by Frederick Benteen and Marcus Reno. 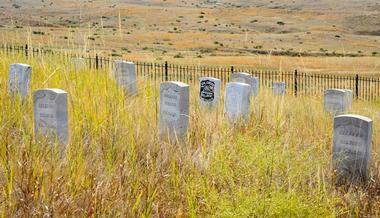 Little Bighorn Battlefield National Monument is open year-round. 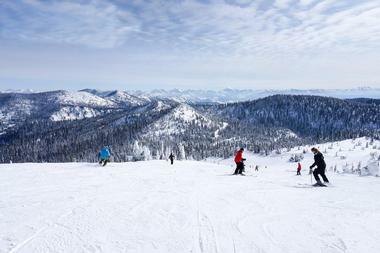 Nestled in the Flathead National Forest at Big Mountain in northwestern Montana, Whitefish Mountain Resort is a popular ski resort that offers several ski slopes for skiers of all experience levels. Located eight miles from the town of Whitefish, the resort presents a range of accommodation from on-mountain condominiums to hotel rooms, affordable learn-to-ski/ride packages and ski lessons, and on-mountain Ambassador programs with daily tours that explore the terrain of Big Mountain. When you are done on the ski slopes, catch a free snow bus into the town of Whitefish to enjoy an array of entertainment and activities from guided treks into Glacier National Park and dog sled tours to backcountry cat skiing, spa treatments, dining, and shopping. If you hike to the top of the rugged rocks around Billings, you will be able to see seven mountain ranges: Big Horn, Pryor, Bull, Crazy, Snowy, Beartooth, and Absaroka. The largest city in Montana, Billings is a curious mixture of history and adventure; it is the site of the Little Big Horn Battlefield and caves with 4500-old pictographs, the last stand of the Apsáalooke people, and a historic 1903 Moss Mansion. Billings is also a modern city, and it is home to the Billings Symphony Orchestra & Chorale, Billings Roller Derby Dames and Mustang Baseball, the Buffalo Bill Historic Center, and the Flatiron Art Gallery. Located north of Yellowstone National Park on the banks of the Yellowstone River, Livingston is known as the home of the famous Calamity Jane and the site of the world’s best trout fishing. There is a lot to do in this small rustic town, including horseback riding, hiking the surrounding mountains, biking and hunting. While the town is a paradise for rugged outdoorsmen, it has plenty for those who prefer the warm and cozy indoors; numerous art and local craft galleries selling works of some of the best western artists make shopping in Livingston a true adventure and a pleasant surprise. The city really blossoms during the summer with a range of very popular festivals that bring thousands of tourists, including the Summerfest music festival, the 4th of July Rodeo, and the Gallery Associated Art Walk. 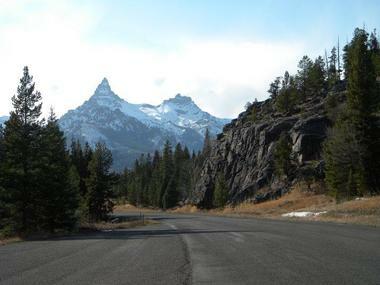 Population 100, Cooke City is located just a few miles from the northeast entrance to Yellowstone National Park. 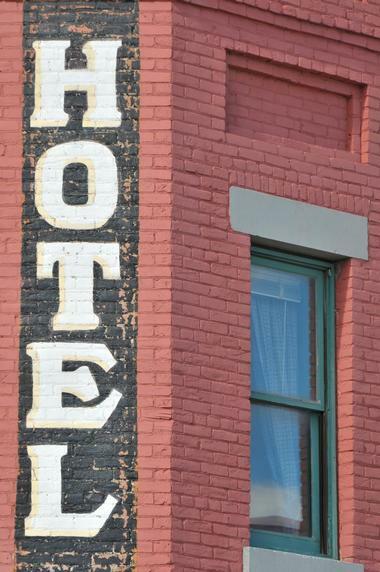 Wherever you go in Cooke City, you are bound to find a piece of history. 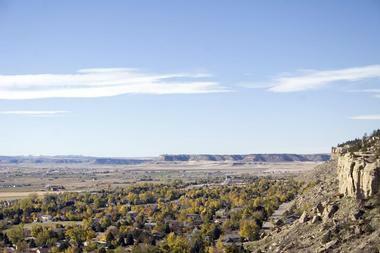 Established in 1882 as a gold mining town, the city was located in a Crow Reservation. Today, it is sleepy little place where everything is slow, including the traffic – dogs, buffalos, bears, moose, and pedestrians have the right of way. Cooke City is a great gateway for all kinds of adventures in the surrounding wilderness and in Yellowstone National Park. There is something for everyone, from kayaking, hiking, and biking in the summer to snowshoeing, skiing, ice climbing and ice fishing in the winter. There are several delightful galleries in town that show and sell Western art. It is a great place to meet young folks from all over the world who come during the tourist summer season to work in local hotels and other tourist-oriented businesses and have a few adventures while they are there. You have to love a city that has a webcam pointing at the eagle’s nest so that everyone will know when the baby eagles are ready to fly. 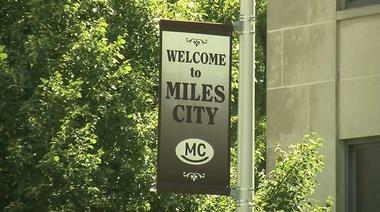 But, Miles City wasn’t always this charming and orderly. The city’s first inhabitants were soldiers, bullwhackers, buffalo hunters, muleskinners, Indians, and cowboys, and it consisted mostly of saloons, dance halls, boarding houses, and general stores. Some of them have been meticulously restored and preserved, especially those on historic Main Street. A few provide home for The Range Riders Museum, a great source of all information on the history of eastern Montana. There is always something going on in Miles City, from the famous rodeo Miles City Bucking Horse Sale and bluegrass festival to the November Wine and Food Festival. Don’t miss WaterWorks Art Museum with works of art by some of the country’s most renowned artists. Bigfork is storybook-pretty, located high up in the mountains of Montana and overlooking the beautiful blue bay where the Swan River meets Flathead Lake. It is a small town known for its love of arts. 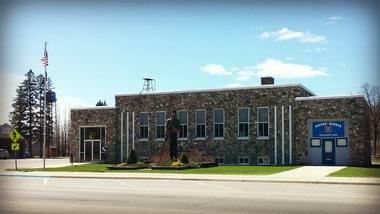 With only 1400 permanent residents, Bigfork has 16 excelleng art galleries. It also has 50 shops, 25 restaurants, and the famous Bigfork Summer Playhouse festival. With 180 miles of shoreline, Flathead Lake offers opportunities for engaging in all sorts of water sports, from fishing and boating to ice fishing and skating in the winter. Bigfork also has a 27-hole golf course, and for those looking for more adventures there are nearby Glacier National Park, the Bob Marshall Wilderness and the Swan Wilderness. Watch for wildlife, as there is a lot to see: grizzlies, whitetail deer, black bears, mountain goats, bison, elk, wolves, moose, eagles, and so many other birds live in the area. 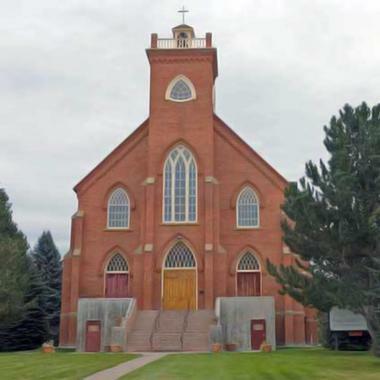 St. Ignatius is a little town nestled at the foot of the magnificent Mission Mountains in the heart of the Flathead Indian Reservation. It is famous for two very different features: the spectacular St. Ignatius Mission and world-class ice and rock climbing. St. Ignatius was constructed of bricks made by local clay, and Jesuit missionaries and American Indians built it in 1891. The Mission is famous for 58 murals hand-painted by Brother Joseph Carignano, who worked at the Mission as a cook and handyman. The colorful murals cover all the walls and the ceiling and are in a surprisingly good condition. After strolling along the picturesque main street of St. Ignatius, you can visit the Amish community north of the city or the National Bison Range Wildlife Refuge. Several lakes around St. Ignatius are full of fish, and the Flathead River offers great rafting. Don’t forget that you are a guest of the Flathead Indian Reservation and that you need a permit for fishing or hunting. While Louis and Clark first explored the area around Glasgow in 1804, the city was not established until the late 1800s when the railroad came. The best place to learn about the town history is at the Valley County Pioneer Museum. It has an amazing collection of fossils and Indian artifacts, as well as the collections on the railroad, wildlife, and aviation. Glasgow’s population and stature grew after the Fort Peck Dam was constructed in 1933. The four-mile wide dam straddles the Missouri River, and its construction resulted in the creation of Fort Peck Lake, the biggest lake in Montana. Full of fish, the lake hosts Montana’s annual Governor's Cup Walleye Fishing Tournament. Don’t miss the Fort Peck Dam Interpretive Center and Museum with two larges aquariums showcasing species of fish living in the Missouri River and Fort Peck Lake. The museum also has a life size model of the Tyrannosaurus Rex that was discovered nearby. Nature lovers should visit the Charles M. Russell National Wildlife Refuge, a 1,100,000-acre wild animals refugee, with free-roaming Bugling elk, mule deer, red foxes, coyotes, and thousands of birds. 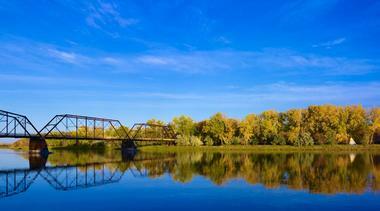 Fort Benton is so steeped in history that the entire town was declared a National Historic Landmark. Called for good reason the birthplace of Montana, Fort Benton was established on the courage and hard labor of thousands of people who came to explore and seek a better future. The settlement started as a robe trading post, then as the gateway to gold hunters, then to whiskey traders, and then to railroad builders. Today, the history can be seen all around this charming little town, especially in the Heritage Complex on the bank of the Missouri where the old fort shares space with a range of other museums. Walk along the historic steamboat levee and look at the outdoor art displayed for all to enjoy. Visit the city’s historic district and see how seamlessly the past merges with the lively, prosperous present with art galleries, theatres, shops, and great restaurants. Sidney is a small peaceful community on the banks of the Yellowstone River in the heart of the fertile 75-mile-long valley. All the way to the horizon you can see grains, corn, sugar beets, hay and beans. 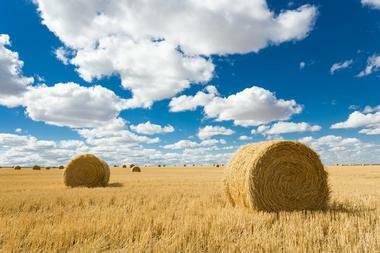 The pastoral landscape is broken by oil rigs – Sidney is part of the Williston Oil Basin. The untouched nature around the valley is rich in scenic scarlet scoria hills, bluffs, and badlands. 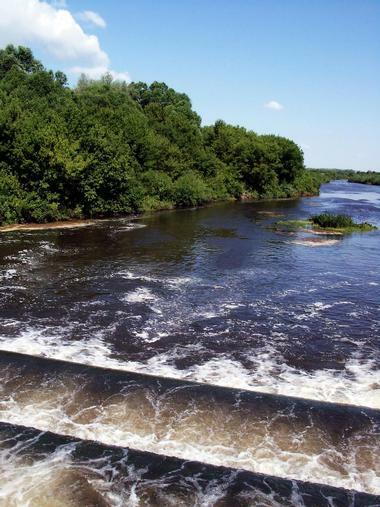 The river offers great fishing and all kinds of water sports. Hunting and agate hunting are also popular, and so is hiking along the historic Lewis and Clark Trail. Check the Sidney's MonDak Heritage Center Museum and Art Gallery with many significant historic artifacts such as the St. Cyr gun collection and early photos. In the summer, you can enjoy the Sunrise Festival of the Arts, the Lone Tree Gun Show, the Richland County Fair and Rodeo, and the Wine and Food Festival. Located at the foot of the Crazy Mountains with an endless expanse of surrounding prairies, Big Timber is a great little town to visit on your way to the Absaroka-Beartooth Wilderness. It is worth stopping by for the excellent blue ribbon fishing, great hiking, hunting golfing, or just floating in the river. If you are there in July, you can enjoy the Montana-wide famous historical Big Timber rodeo. To get the feel of the city’s past and present, don’t miss the Crazy Mountain Museum where you can see the Cobblestone City, a finely detailed miniature model of Big Timber as it looked in 1907. You can also see photos and artifacts from the 1930 Cremer Rodeo and a Norwegian Stabbur, a stone house that shows town’s Norwegian heritage, as well as a one-room schoolhouse with desks, photos of the Presidents, and “real" blackboards and chalk. The Lewis and Clark National Historic Trail is an important route across America that commemorates the famous Lewis and Clark Expedition that took place between 1804 and 1806. Forming part of the National Trails System, the trail extends for more than 3,700 miles, (6,000 km) beginning in Wood River, Illinois and ending at the mouth of the Columbia River in Oregon. The trail passes through sections of Missouri, Kansas, Iowa, Nebraska, South and North Dakota, Idaho, Montana, Oregon, and Washington, and although the trail is not deemed as a hiking trail, it presents excellent opportunities for outdoor activities such as hiking, boating, and horseback riding. A visitor center for the trail is located at the National Park Service Midwest Regional Headquarters in Nebraska and features informative displays about the explorers and their historic trip. 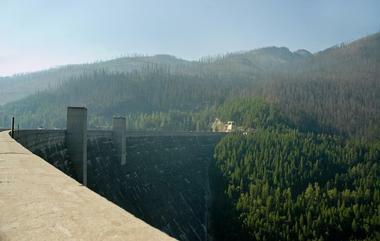 Hungry Horse Dam, an arch dam on the South Fork Flathead River, is one of the largest concrete dams in the United States. Completed in 1953, the immense Hungry Horse Dam is located in the Flathead National Forest in Flathead County and is surrounded by majestic mountains, creating an ideal environment for hiking, walking, and fishing. The dam is named after two strong freight horses that worked in the South Fork area that wandered away from their sleigh, were found starving, and had to be nursed back to health. The Hungry Horse Dam has a modern visitor center that is open daily and presents visitors with free informative talks upon request.